Call Of Duty: Elite Shuts Down On Friday. It's Okay To Cry. Remember back in 2011 when Activision's ambitious online service dedicated to the Call of Duty franchise and its players was going to be the best thing ever? It's shutting down forever on February 28. That's skull logo has never been more appropriate. Clans and stat-tracking and advanced matchmaking and original comedy programming! All of these were things that would make Call of Duty: Elite the most successful social networking platform since Facebook. But the comedy fell flat, the service launched broken and incomplete, and the excitement faded away. 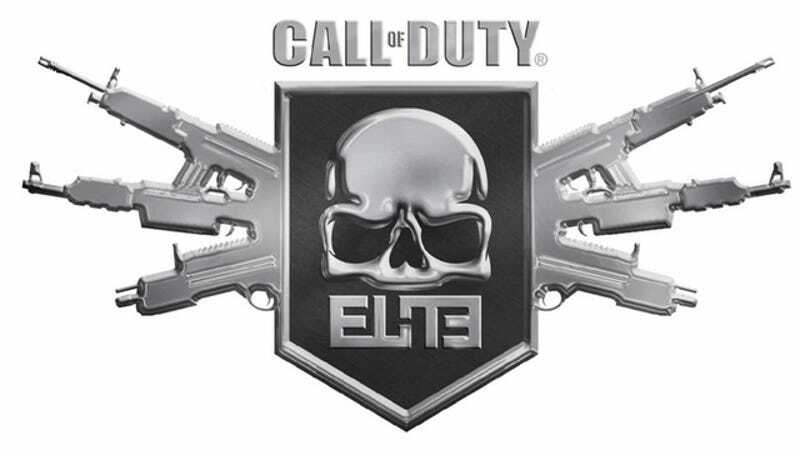 Meant as a platform to carry the Call of Duty franchise into the future, the Elite service lasted through three games. It launched with Modern Warfare 3, went completely free with Black Ops II, and then things sort of fizzled out. Activision took the best of Elite, packed it into the new Call of Duty app app along with some fresh new features, and began turning off the lights. On February 28 at around 1PM Eastern, Elite will close. Clans and clan rewards created with the service will disappear. Modern Warfare 3 and Black Ops II stats will still be available in-game, but without Elite what is the point? Check out Activision's Elite Shutdown FAQ for more info on the closure. Good night, little skull logo.